French Reunion native Pauline Hoarau has come a long way since being discovered over a year ago in the Elite Model Look 2011 competition. 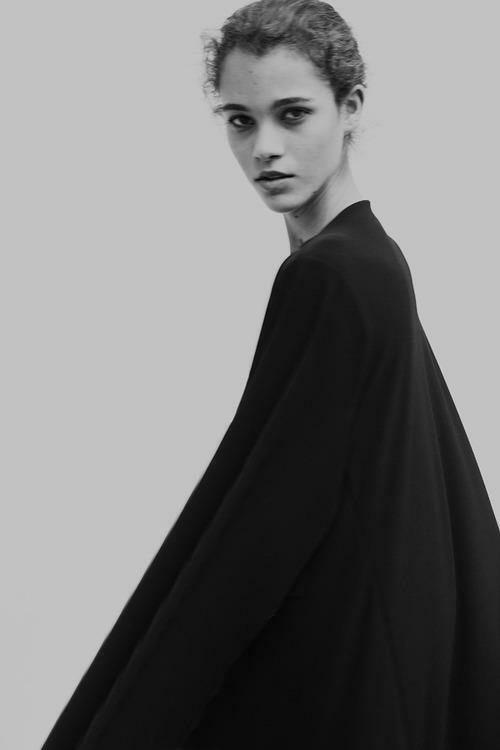 Hoarau placed amongst the Top 15 finalists and walked away with an Elite Model Management contract, before being fast-tracked to an international runway debut at the Fall/Winter 2012 collections. 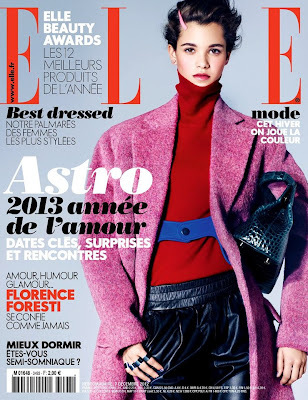 Eighteen-year-old Hoarau heads into the impending Fall/Winter 2013 season as one of the most highly contested newcomers with appearances in Interview shot by Patrick Demarchelier, covers for the French and Italian editions of Elle, and an Armani Jeans Spring/Summer 2013 campaign under her lithe belt. Hoarau's classically beautiful features, luxuriant caramel skin tone, and wide-eyed bambiesque gaze make for a combination which even the most jaded of model pundits find irresistible. Inoubliable Model Army chatted exclusively with Hoarau about the importance of diversity in modelling, the pitfalls of modelling, and why she'll always remain a Reunion Island girl at heart. Inoubliable Model Army: Salut Pauline! Congratulations on a stellar Spring/Summer 2013 season. How are you feeling following the whirlwind month of fashion activity? PH: I feel really good. I had time to catch my breath and to take life at a slower pace. I went home for the Christmas holidays and was so happy to see my family and friends again. Inoubliable Model Army: What are your ethnic origins, and did you always aspire to be a model? PH: I am from Reunion Island, a beautiful French island next to Mauritius, and both of my parents are from there too. I never really aspired to be a model but my friends wanted me to try my luck! Inoubliable Model Army: You first popped onto Inoubliable Model Army's radar when you were a finalist in the Elite Model Look of the Year competition in 2011. How was the experience of competing in the EML and do you feel that the competition acted as a good launch pad to your modelling career? PH: The Elite Model Look competition was an incredible experience. I had the chance to go to Shanghai and to discover China. I met so many girls that I'm still in contact with. We had so much fun! The competition was most definitely a great launch pad for my modelling career because I don't think I would have been discovered without it? Inoubliable Model Army: The past year has been a whirlwind of activity for you. You debuted at the Fall/Winter 2012 collections and returned for the Spring/Summer 2013 collections, appearing in 27 shows including Prada, Miu Miu, Chanel, Louis Vuitton, Valentino, Just Cavalli, Bottega Veneta, Akris, and Anthony Vaccarello. What were your favourite moments from the Spring/Summer 2013 season? PH: Walking for Chanel was my favourite moment of the entire season. I meant a lot to me and the set was really impressive. Inoubliable Model Army: There was intense competition with so many newcomers looking to make their mark this season. What was your approach going into castings and what factors do you think come into play with making a favourable impression on casting directors? PH: At castings, I always try to stay true to myself and to show lots of energy and to just do my best. I think being in a good mood for starters might help to make a positive impression on casting directors! Inoubliable Model Army: The show season can be a real test of endurance and nerve with the stress of castings, lack of sleep and around the clock hours spent at castings, fittings and shows. What were your coping mechanisms for getting through the month of fashion mayhem? PH: During fashion week, I always try to get as much sleep as possible and to never skip meals. For me it's the best way to keep up my energy levels. Inoubliable Model Army: One of the most enjoyable aspects of the show season is witnessing the camaraderie amongst the models backstage. Were you able to form friendships with any other models throughout the season? PH: I definitely made friends with some girls I met during the shows. It's really nice to see them again when I come to their countries or to work with them on shoots. It's always nice to see familiar faces in the next fashion weeks. Inoubliable Model Army: For models one of the major challenges is learning to deal with rejection and criticism based on your looks. How have you learnt to deal with this aspect of modelling? PH: I've learnt that casting directors, photographers, and stylists, all never have personal issues with the models. A model can't be liked by everyone, either she corresponds to a collection or the style they're looking for or not. It's obviously pretty hard to deal with the rejection and the criticism at first but I think it gets easier with time and experience. Inoubliable Model Army: What has been the most valuable advice anyone has offered you with regards to modelling? PH: The best advice I ever had was to never forget where I come from and to always stay true to myself. Reunion Island will always be home. Inoubliable Model Army: You travelled to Australia last year to build up your portfolio and appeared in a stunning editorial for Australian publication Russh photographed by Pierre Toussaint. What were your general impressions of Australia? PH: I loved my month in Australia. I think Sydney is such a wonderful city and all the teams that I worked with were so nice. Plus I had the chance to do amazing on location shoots at the beach! Inoubliable Model Army: Since the Spring/Summer 2013 season you have appeared on the cover of French Elle, and been photographed by Patrick Demarchelier for Interview. What was it like to work with one of fashion photography's living legends? PH: Working with Patrick Demarchelier and the stylist Karl Templer was very impressive, this day of shooting was amazing. Inoubliable Model Army: What do you hope to achieve in the course of your modelling career and what would be your ultimate dream assignment? PH: For now, I'd obviously like to appear in Vogue but other than that I don't really have a particular dream assignment as yet. Inoubliable Model Army: Your look is quite ethnically ambiguous which broadens your appeal to a wide cross-section of markets. Do you feel that the issue of diversity in modelling is improving for models of colour? 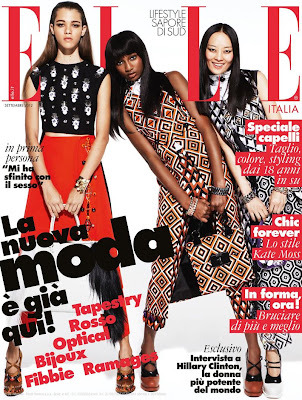 PH: I think models of colour have more an more job opportunities than before. I'm all for diversity between models in the shows. It's really nice for example when you see a variety of girls of colour like in the Jean Paul Gaultier show last season. PH: I'm not sure if "Inoubliable" is the right word but I think that the fact that I am from Reunion Island is surely something that a lot of people are interested in. Not a lot of models come from this island and I'm really happy to tell people everything about Reunion!